Queensland Telecommunications Museum - Welcome to the Queensland Telecommunications Museum. Welcome to the Queensland Telecommunications Museum. 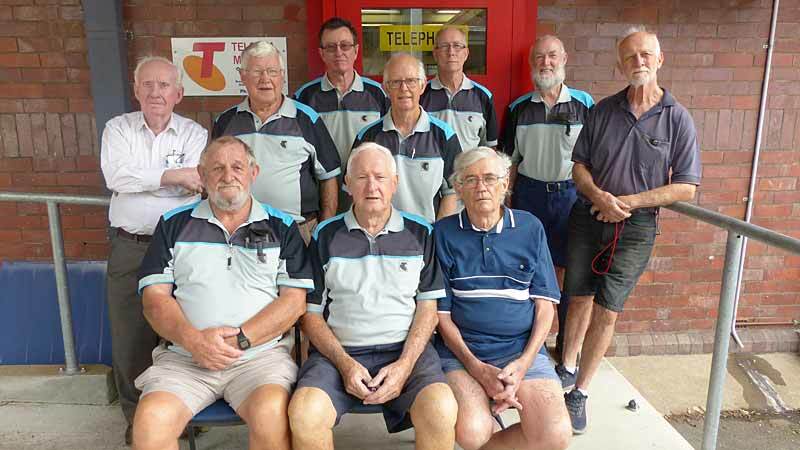 The Postal-Telecommunication Historical Society of Queensland Inc was formed in 1952, by a group of Post Office Volunteers dedicated to the preservation of artifacts photographs records and equipment. Throughout these years many donations of memorabilia have been given to the society for safe keeping so that future generations can be sufficiently informed about the history of this vital utility in the development of the state of Queensland. L to R. Back row: Leo Maloney, Mike Pitman, Greg Curtis-Flynn, John Campling, Anthony Mitchell, Wilfred Claydon, Roland Clark. Front row: Ronald Tew, Don Wellings, Kevin Oliver. Marconi was an Italian engineer and inventor. He developed a system to transmit Morse code by radio waves, wireless. He did not invent "wireless"; he developed "wireless telegraphy". James clerk Maxwell predicted the existence of radio waves as a result of demonstrating (mathematically) that light is Electromagnetic radiation. Heinrich hertz subsequently demonstrated experimentally that Maxwell was correct. Marconi came later. 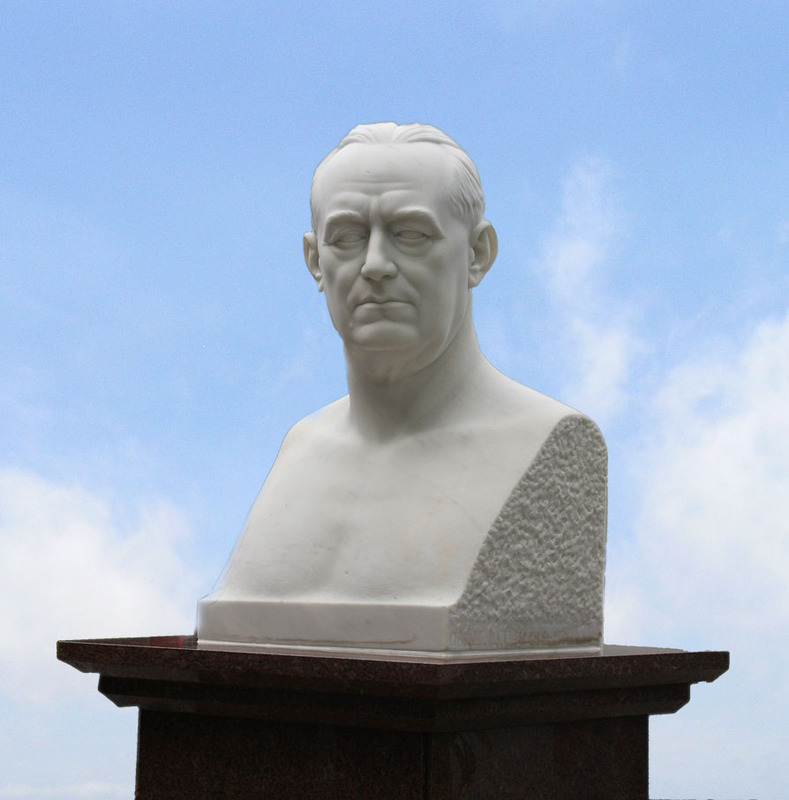 This bust of Marconi was presented to AWA in Sydney by the Lion’s club of Turin in 1964 and was subsequently given to OTC Ningi, Queensland (near Caboolture). OTC was merged with Telecom Australia, and the bust came with it. With the introduction of satellite communication, the need for ship-to-shore radio rapidly declined as did the relevance of the Marconi bust to the Ningi site. The bust was shifted to this museum by Telstra. This banner was created to advertise the museum while we are making community presentations to organisations that cannot make it to the museum. So far we have used it for nursing homes, a public library's heritage group, Salvation Army Women's League and the Scouts JOTA. We have more visits booked. Our logo depicts the Messenger God Mercury. It is said that he had wings on his feet and helmet, giving him great speed. The root of the idea of Mercury lies in Greek mythology with the messenger god Hermes.